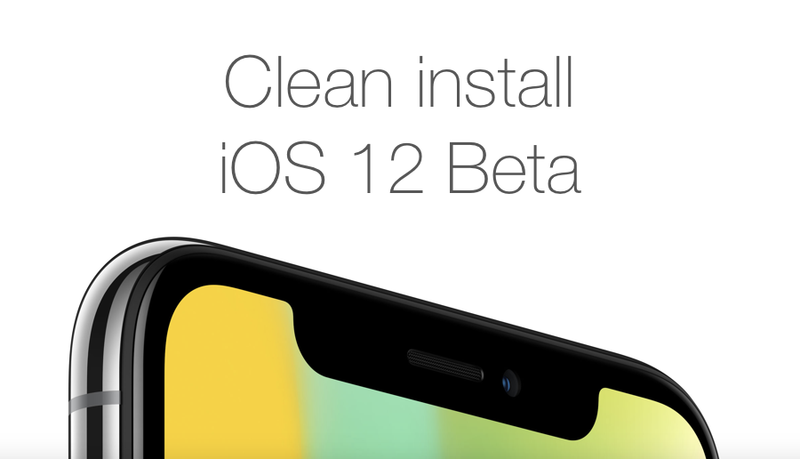 Here’s a complete step by step tutorial on how to clean install iOS 12 Beta on iPhone, iPad, iPod touch right now. Backup everything before proceeding. Though we are sitting on the beta version of iOS 12, therefore it’s a good idea to perform a clean install of the software if you are looking to get the most out of it in terms of performance. At this point, every ounce of performance helps, especially if you are an enthusiast and happen to be using the software as a daily driver, something which we don’t recommend at all when it comes to beta software. First and foremost, you can only download iOS 12 Beta if you are enrolled in Apple’s Developer Program. If you aren’t already, you may want to sign up by going over to this link. Remember, it will cost you $99 on an yearly basis, but you end up with access to every beta software currently in Apple’s roster. Once you are all set and signed into Apple’s Developer Program, follow the steps outlined below. Click on Download under the Additional Resources heading on the left. Under Featured Downloads, find iOS 12. Click on the iOS Restore Images option and download the file that is meant for your device. Please don’t get this wrong. Save the IPSW file onto your desktop. Assuming you’ve already backed up your device at this point either using iTunes or iCloud, follow the steps outlined below. Also, please make sure Xcode is installed onto your Mac before proceeding. It’s a requirement, otherwise you will be forced to install iOS 12 Beta over the air only. Connect your iPhone, iPad, iPod touch to your Mac using a Lightning cable and launch iTunes. Select your device by clicking on the tiny iPhone-like button from the top left hand corner of iTunes. Now click on Restore iPhone while holding down the left Option key. Select the iOS 12 Beta IPSW file you downloaded earlier. Let iTunes extract, prepare and restore the IPSW file onto your device. After a few minutes the process will be complete and you can set up your device like a brand new one.